As one quarter of Aussie outfit Taxiride, Jason Singh experienced a great deal of success in the band’s heyday with two top ten singles, platinum successes, an ARIA award and more. 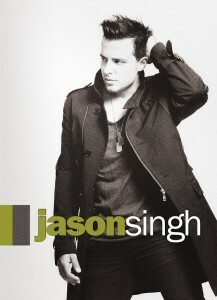 But in 2010, the time has come for Jason to step out from the comfort of a band environment and try his hand at the solo thing with his debut single ‘I Can Dream’. Produced by Charles Fisher, ‘I Can Dream’ marks a distinct change from the rockier-edged productions of his old band, with the singer confirming that this one’s all about the pop. “I went through the whole rock thing, which inspired a lot of the Taxiride stuff. But now I’ve gone back to my pop roots,” he said in a statement. He also talks about the connection he has with his debut solo offering. It’s the first track to be lifted from a forthcoming solo album, slated for release in the new year. Take a listen below – and in the meantime, find out more about Jason’s upcoming tunes at FACEBOOK. Previous Post: « SIA AT THE BDO!